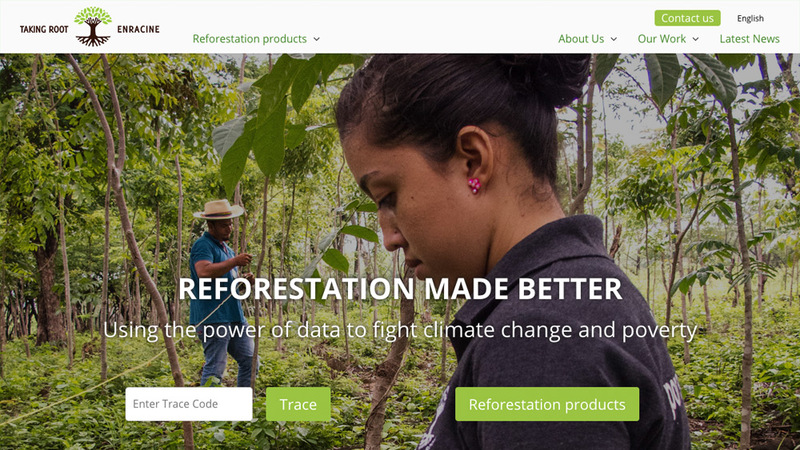 Taking Root is a pioneer in leveraging the forest carbon offset industry to promote economic development amongst smallholder farmers in Central America. I joined their team as a freelancer to build the new version of their website. The website uses a custom WordPress theme built to suit the client's needs. 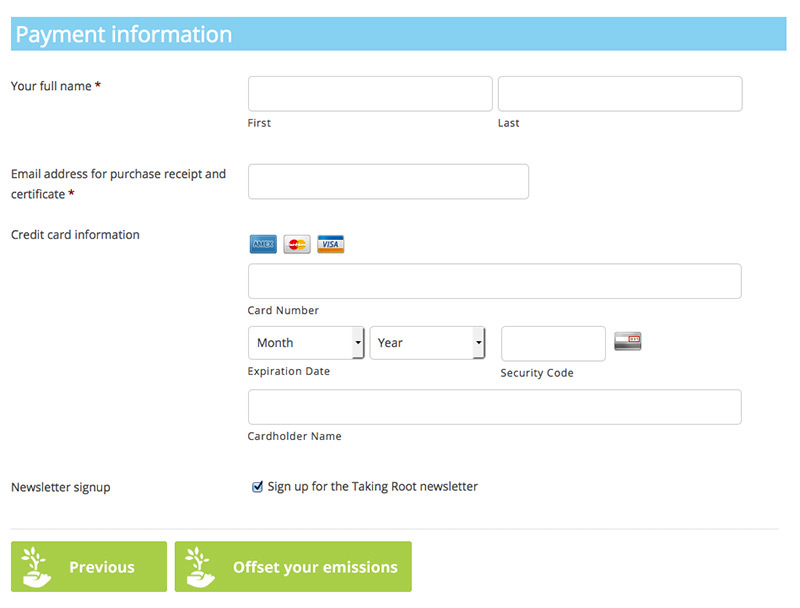 The biggest additions to the new website are the carbon footprint calculators. They allow the users to know how many tonnes of CO2 they consume. By answering the different questions, the users will know their CO2 consumption and have the option to purchase a carbon compensation certificate. One of the client's request was that the user never leaves the website to make the online payment. This request was achieved with an SSL certificate and the online payment service Stripe. 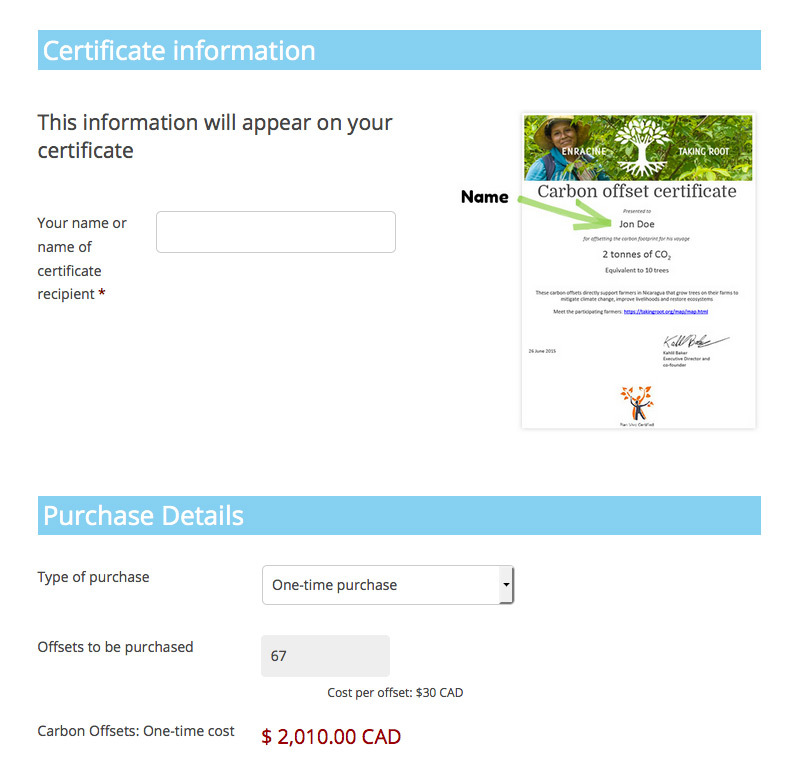 Once the form filled up and payment completed, the user receives an email with a PDF certificate that shows the number of trees to be planted in his name. The second step of the calculator displays an example of the PDF certificate to be sent by email. After submitting the form, the users will receive a custom certificate with a name of their choice and the number of tonnes of CO2 that they paid for. 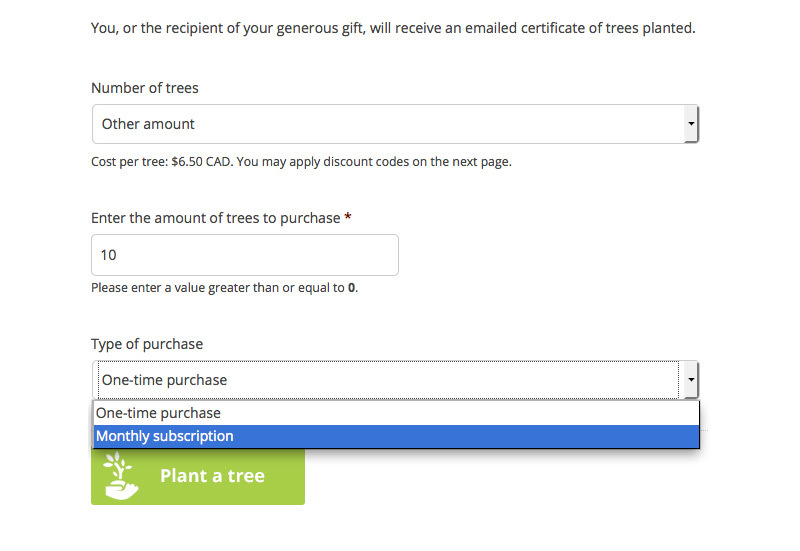 Another form available on Taking Root's website is the Plant a tree form. The user can buy any amount of trees. The last part of all the calculators is a payment information section. The forms have a seamless integration with Stripe for a better user experience.